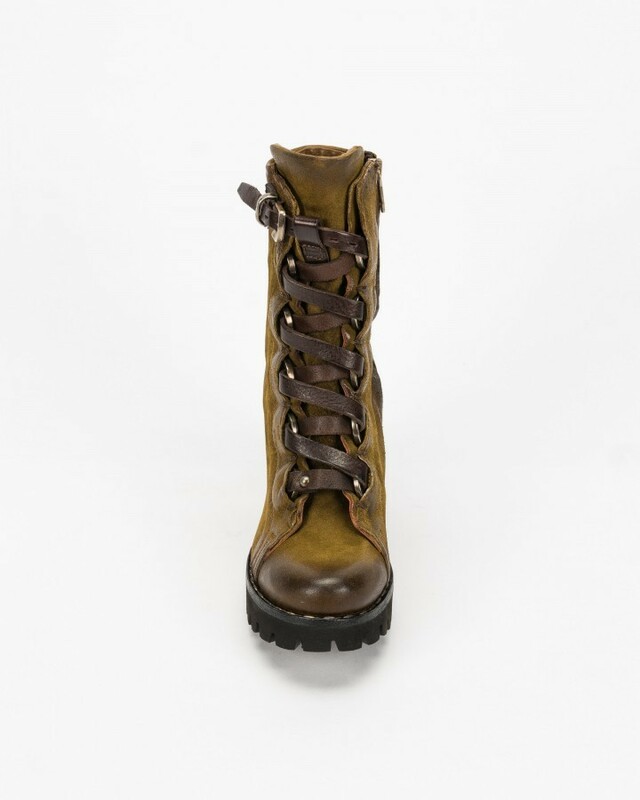 A.S.98 buckle booties for women in green leather and suede with leather insole, lining and rubber outsole. 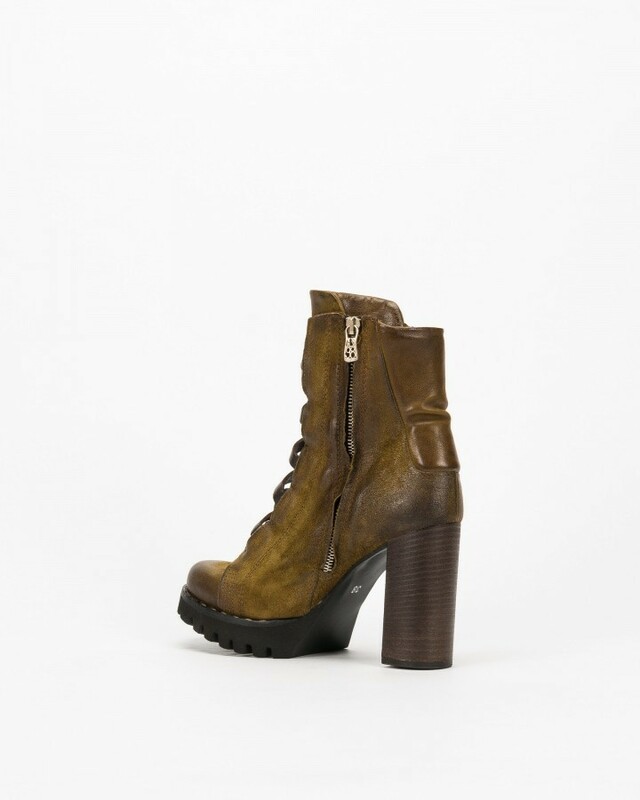 11 high heel, 3 cm platform and 14 cm shaft height. Inside zipper for faster closure.